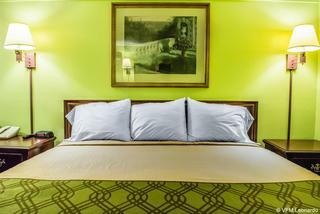 This hotel boasts a convenient location off Interstate 79 and close to Pittsburgh International Airport. It is also within easy reach of several of the area's universities and a great base from which to explore Pittsburgh and its many attractions, such as the zoo and aquarium, Kennywood Amusement Park. Visitors should also take a ride on the historic Monongahela Incline to admire the stunning views from the lookout point at the top of Mount Washington. Those in search of a little retail therapy should head for the South Hills Village mall. This comfortable hotel offers warm and friendly service, as well as a delicious continental breakfast and complimentary coffee. Corporate travellers can take advantage of the copy and fax services. The spacious rooms can sleep up to five with an extra bed, and some include a microwave and kitchenette for guests' added convenience. 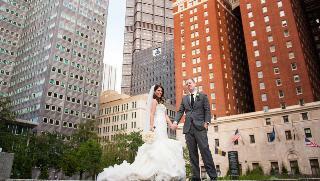 This hotel is located in the heart of the downtown area of Pittsburgh. The hotel is located close to world-class shopping opportunities, delightful dining options and exciting entertainment venues. Guests will find themselves within easy access of a host of attractions in the area. This charming hotel greets guests with warm hospitality and excellent service. The guest rooms are beautifully appointed, and are well equipped with modern amenities. Guests are sure to be impressed by the extensive array of facilities and services that this wonderful hotel has to offer. Guests can indulge in rejuvenation spa treatments, for the ultimate in invigoration.